The start of the week saw winds in excess of 30mph which kept the boats in the moorings and all but the most hardy bank anglers away. Tuesday saw the wind drop and boats head out again Nigel Clark and his party had good day fishing between the moorings and dinas point successful methods were fast glass with 2 dabblers and a boobie on the point. 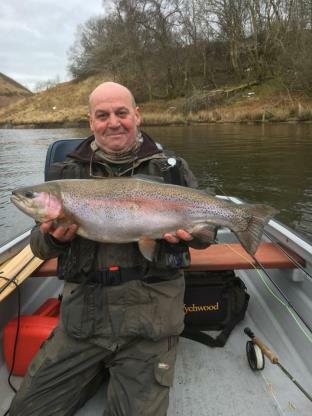 Bank anglers have enjoyed success at Bwlch y gle, Eblid and Growen field. Good numbers of Hawthorn. Alder and Cow dun.